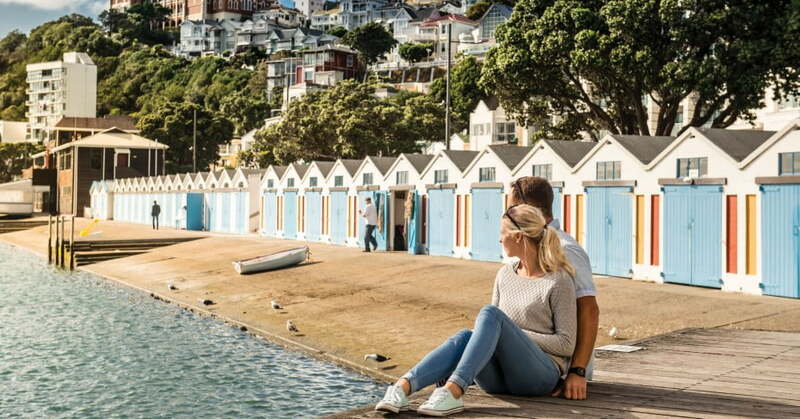 You don't need to travel far to experience Wellington's most iconic attractions. A stroll down to the waterfront will find you at the Writers' Walk, a sculpture trail of powerful words. Or walk along Lambton Quay to find the cable car station, which will rattle and roll you up to the botanic garden. 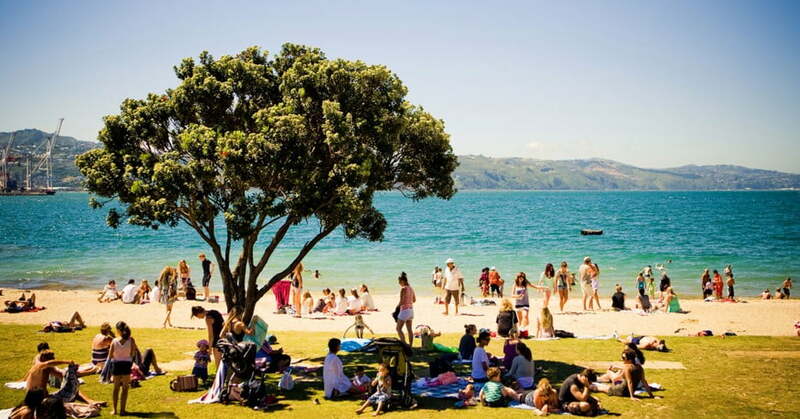 And on a sunny day, a gelato at Oriental Bay should be your top priority. The Wellington climate does wonders for the Botanic Garden, a lush pocket of greenery up the hill from the CBD. Contained within the gardens is a diversity of native and exotic plants, with the Begonia House hosting some of the more temperature-sensitive specimens. The best way to experience the gardens is to catch the historic cable car from central Lambton Quay to the top of Kelburn Hill. From here you can meander back down through the gardens to the central city. 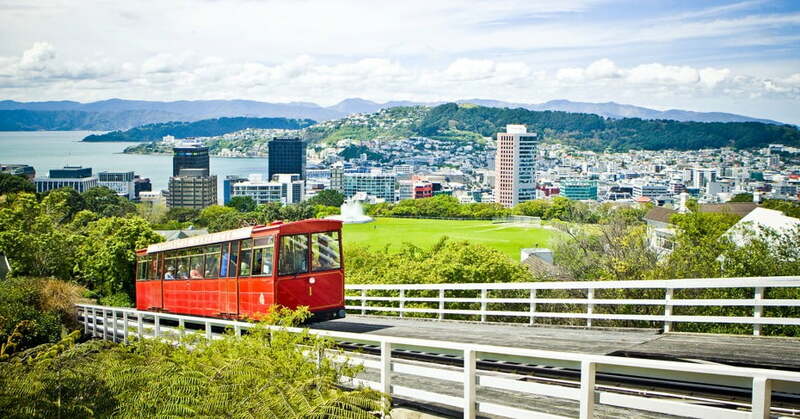 The Wellington Cable Car is New Zealand's oldest functional funicular railway and is an awesome way to take in the view of Wellington Harbour and the dramatic cityscape. By night Kelburn Hill offers a different experience altogether. Choose a clear evening to check out Space Place at the Carter Observatory. As well as viewing the heavens through the giant telescope, you can enjoy a captivating show at the digital planetarium. As well as viewing the heavens through the giant telescope, you can enjoy a captivating show at the digital planetarium. 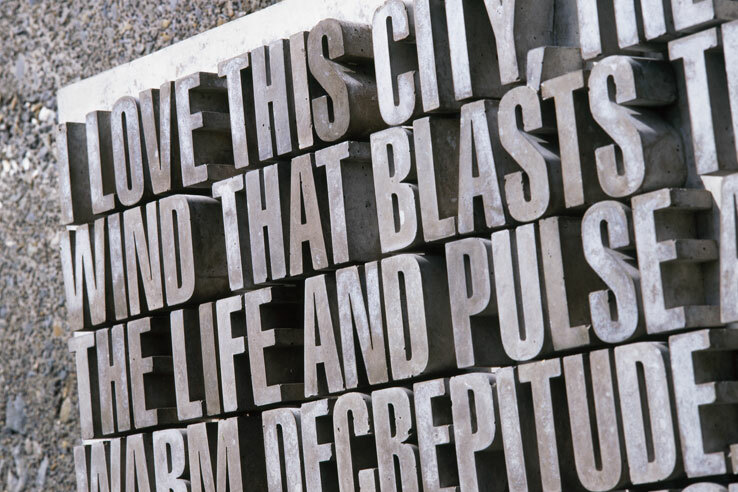 Along the waterfront promenade in central Wellington is a series of 19 text sculptures that put words to the region's one-of-a-kind urban and land seascape. The Wellington Writers Walk, created as a tribute to the city and some of New Zealand's most well-known writers, includes quotes from Bruce Mason, Fiona Kidman, James K. Baxter, Alistair Te Ariki Campbell, Katherine Mansfield and several other great authors and poets who once lived (or still live) in Wellington. The artworks are displayed using the work of internationally renowned typographer Catherine Griffiths. It can be a little challenging to find all of the sculptures, as they're dotted unexpectedly along the path, however this adds to the fun. Oriental Bay is Wellington's glamour beach. On a hot summer or autumn day, locals flock to the sandy shores to soak up the sun and take a dip in the ocean. People glide by on bikes, skates and anything else with wheels, while out in the water the Carter Fountain plays, spurting water 16 metres into the air. It doesn't have to be sunny for you to enjoy this bay. Dress for the weather and stroll along the sand to grab a coffee or cold drink at Kaffee Eis. Their award-winning gelato is legendary. Oriental Bay is a 25-minute walk from Cuba Street and Manners Mall. If you need a rest and dinner on the way back, check out Ortega Fish Shack. Ortega is delightful and anything but a shack. It has a chilled, beachy vibe and the food is consistently incredible. Cable Car image courtesy of WellingtonNZ. ; Couple at waterfront image courtesy of WellingtonNZ. ; Writers wall image courtesy of WellingtonNZ. ; Oriental Bay beach image courtesy of Positively Wellington Tourism.